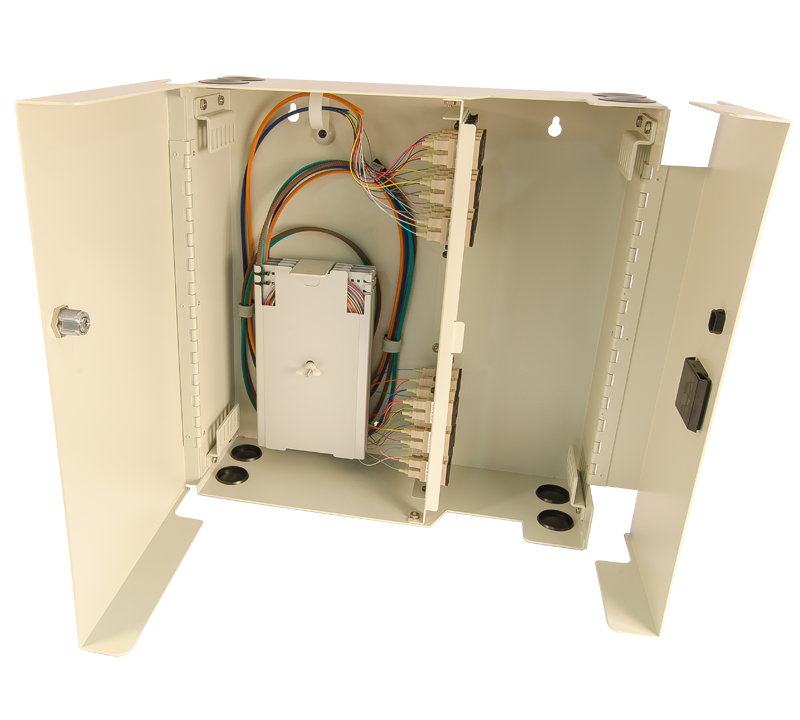 The Century Fiber Optic’s FIU enclosures offer an economical solution for smaller applications where wall-mounting is required. 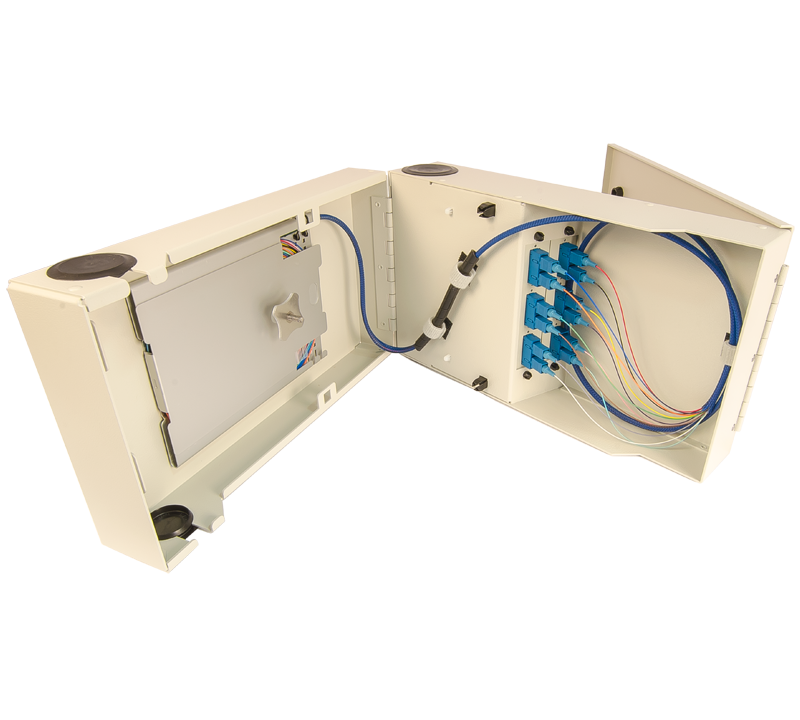 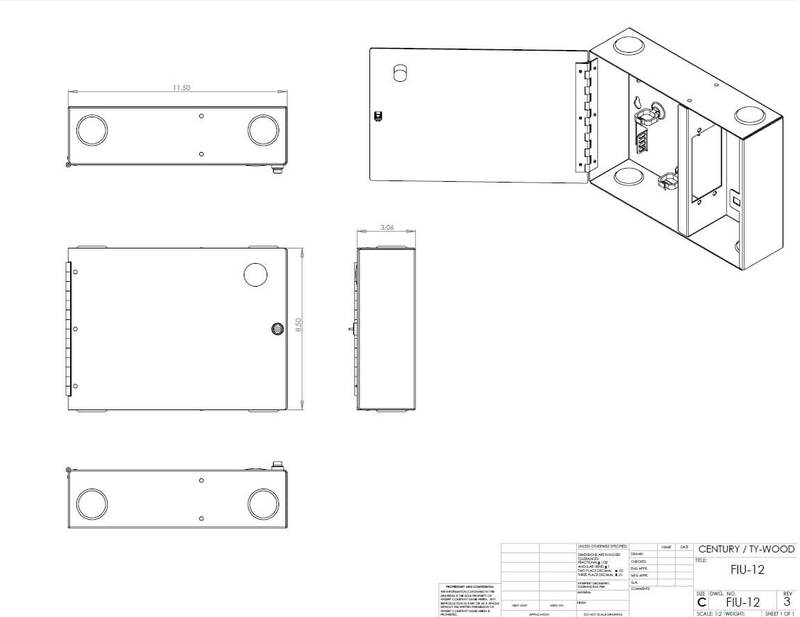 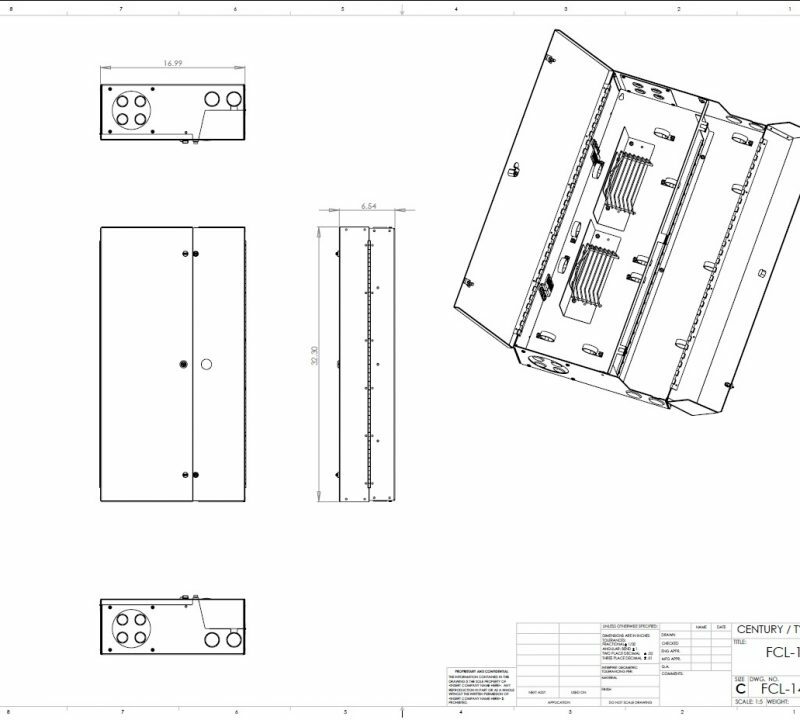 These wall mount units allow for direct termination of breakout style fiber optic cables. 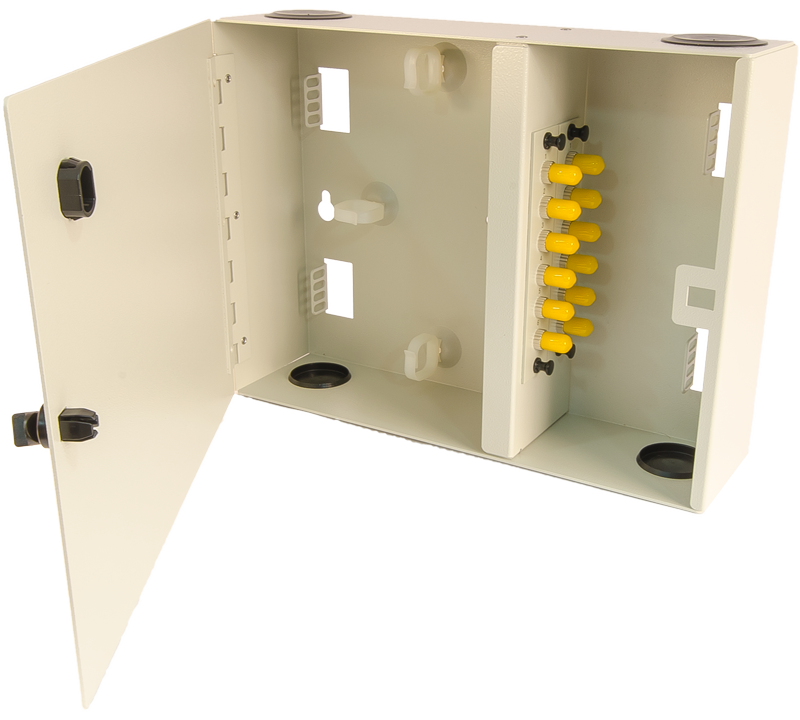 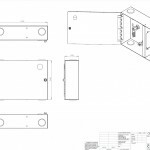 These units are economical and provide protection for fibers on both sides of the connector patch panel. 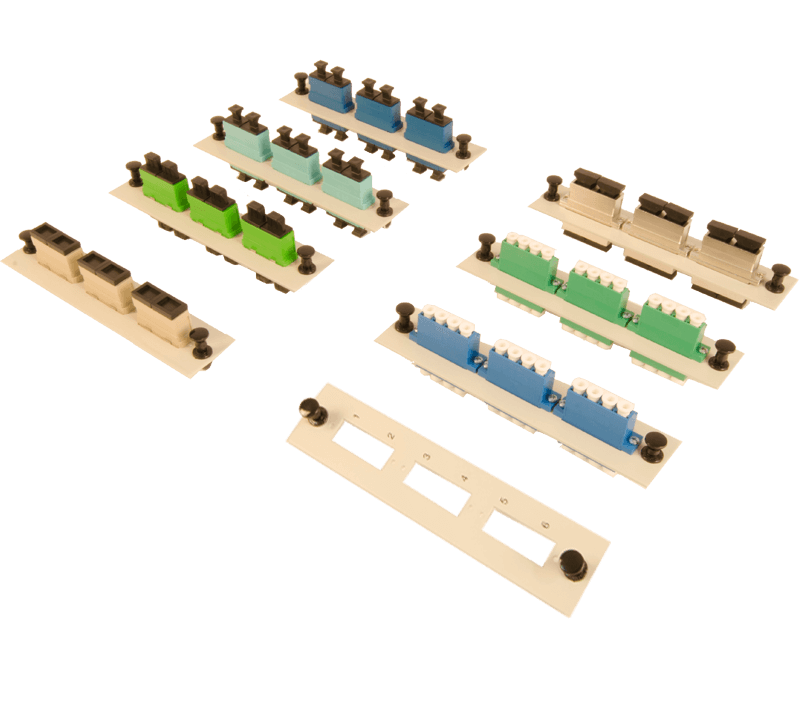 These units provide a cross connection field between central and distributed computer equipment. 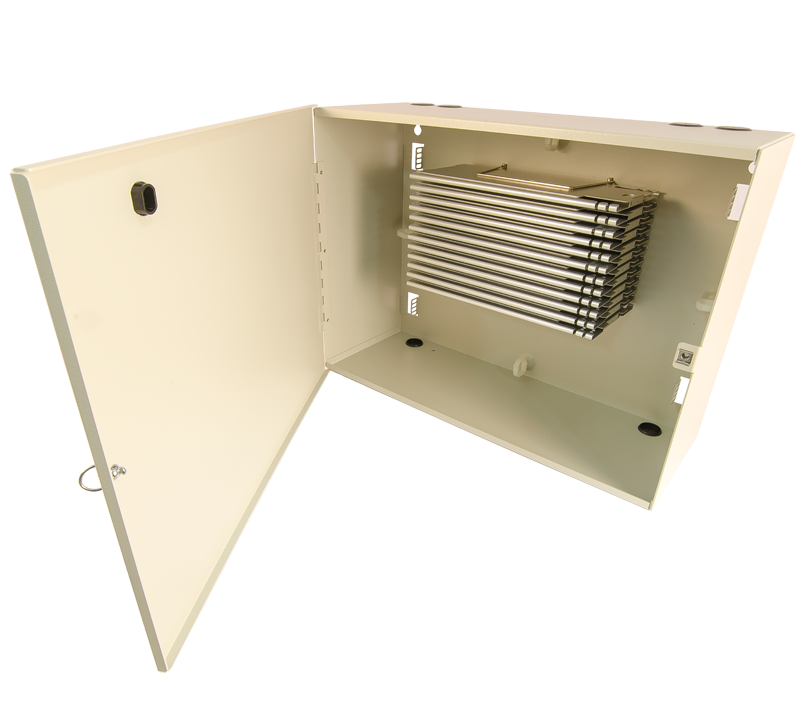 They are designed for intra-building applications. 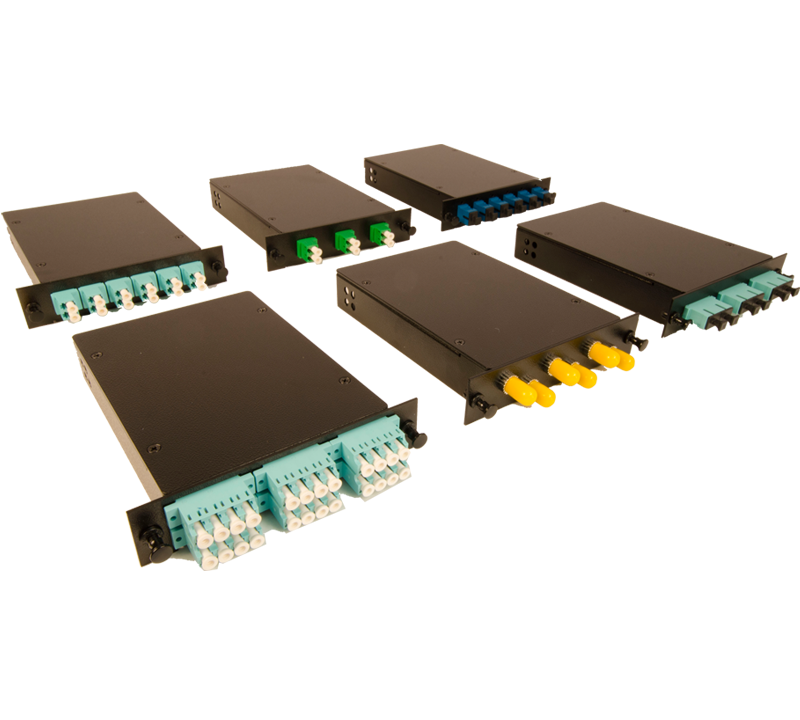 Typical applications are the interface between horizontally distributed building or breakout type cables and the optical equipment.